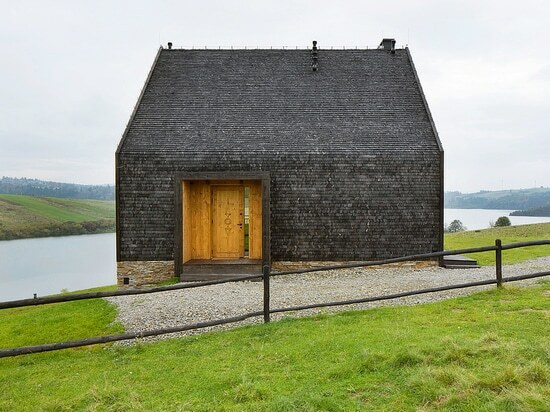 Both the shape of this cottage, located on the Stylchyn peninsula, and the interior are interpretations of traditional local Polish architecture. The primary material used is wood. The roof and the building facade have been cladded with scales of aspen wood. The wooden front door is decorated with traditional embellishments whose motifs are repeated inside. The project was not only based on local traditions, but also local materials such as the antique wooden boards used on the walls and ceilings. 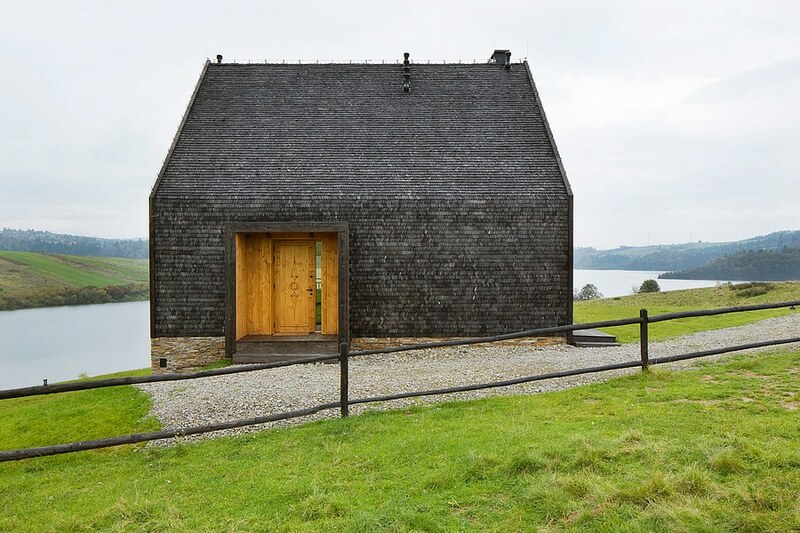 The design of this cottage embodies regional tradition in a modern way. With a clever selection of materials, it easily blends into its natural surroundings.